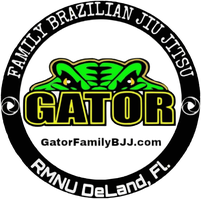 New Student Special - Gator Family Brazilian Jiu-Jitsu, DeLand Fl. If you have been interested or ever considered trying Brazilian Jiu-Jitsu, Now is your opportunity! 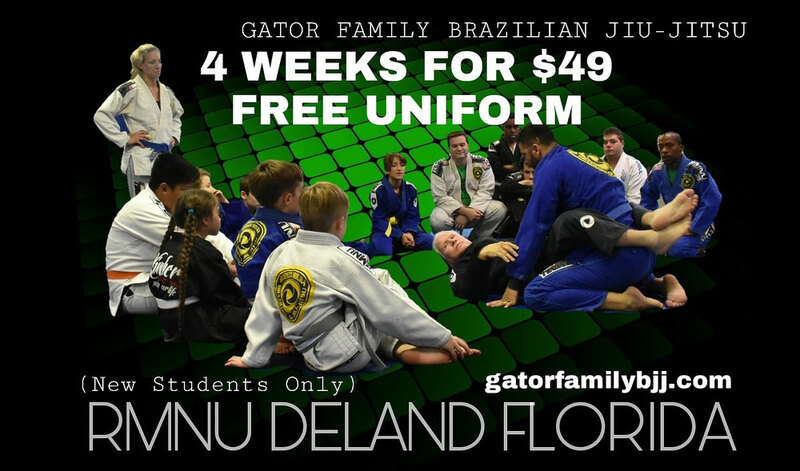 For a Limited Time Gator Family Brazilian Jiu-Jitsu West Volusia's Premier Jiu-Jitsu Academy is offering a New Student Special! For only $49. You will get a Free starter uniform and training for 4 weeks. This offer is open for our kids and adults program. We invite you to meet our Family and tour our facility. Our curriculum includes Self Defense techniques taught to the US Army for hand to hand combat. We also promote sport Jiu-Jitsu. No experience required. Beginners are welcome.